Come join us as we raise money for the Non-Profit Organization, Casualties of War. 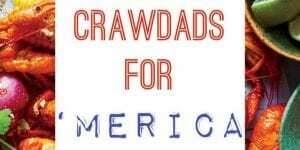 Teams will compete in our Boil-Off to see who is ‘Merica’s Best Crawfish Team! You will have the chance to eat each team’s crawfish as well as vote in the People’s Choice Award. Live music, concessions, and a ton of kids’ activities will round out the event while you enjoy your beer and Crawfish! $20 per Wristband (Age 12 and Up): All-You-Can-Eat Crawfish and Non-Alcoholic Drinks, Live Music, and Kids’ Activities. Beer and Concessions will be available for purchase. Veterans and their Families Eat for FREE as always! Browse the Event archive. Category: Montgomery. Tags: Charity Events, Children's Events, Family Events, Festivals, Food, Fun. Bookmark the permalink. Both comments and trackbacks are currently closed.